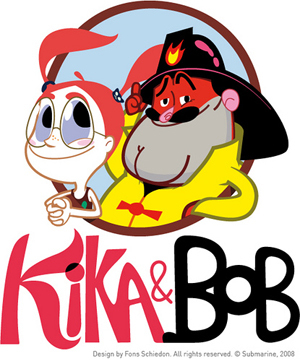 LuGus Studios’ Kika & Bob game out now! The Belgian gamestudio LuGus Studios has created 26 unique minigames to accompany the second season of the Dutch animated series Kika and Bob. 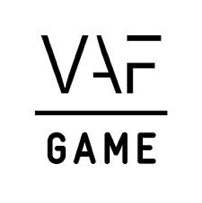 The games were first released individually on various TV channel websites and are now bundled as a single iOS app, which also includes highscores, a custom player avatar, and a 27th game with 26 unlockable levels. Just like in the series, Kika (a tough nine-year-old girl) and Bob (a rather dumb fireman) travel around the world together, crossing dangerous territories, overcoming terrible obstacles and meeting all kinds of fascinating people and animals. In this second season game they need to, among other things, avoid a stampede of elephants in Kenya, run an Italian pasta joint in New York and survive an erupting volcano in Sicily. The game was released by publisher Submarine in the AppStore. It is available for iPad both in Dutch and in English. You can download the game on the AppStore (link in Dutch).